Bronislaw Huberman (1882-1947) was one of the most celebrated violinists of his time, when classical musicians were as renowned as today’s pop stars. The pinnacle of his career was to rescue some of the world’s greatest musicians from Nazi Germany and create one of the world’s greatest orchestras, the Palestine Symphony Orchestra, which would become the Israeli Philharmonic Orchestra. 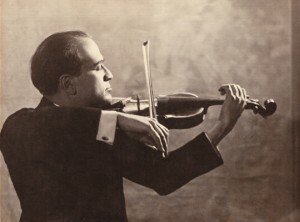 The world famous violinist was not born to fulfill such a high purpose—he came to it through personal struggle and heightened sensitivity that came after long years of sacrifice. By all reports, Huberman was a highly complex man—hard to know, eccentric, driven. 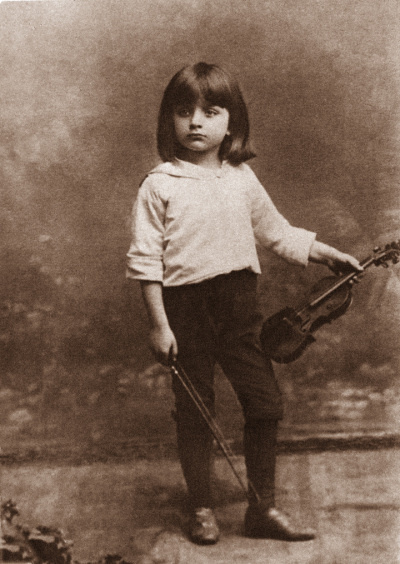 Born in Poland in 1882, he was a true violin prodigy who played for Brahms at the age of 12. Huberman’s father soon saw gold in his son’s violin and presented his gifted boy all over the world to make money. Young Huberman was denied a childhood, education and time with his family. It took his father’s sudden death, and bearing witness to the human disaster of World War I, for Huberman to begin to re-create himself. He canceled all of his concerts at the height of his career and enrolled at the Sorbonne in Paris to educate himself. In two years he would return to a monumental career, humanized and politicized. The artist who emerged from university resumed his place among the elite musicians of the world but he had a different perspective on life than before. Within a decade he was confronted by the realities of the political world between the wars—Hitler, anti-Semitism, Palestine, Zionism—and by then Huberman had the power, imagination and moral fortitude to pursue the remarkable goals that he would accomplish between 1933 and 1936. 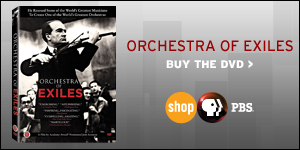 Orchestra of Exiles depicts the grueling story of the birth of the Palestine Symphony Orchestra. But at its core, the film is a deeply human story of Huberman’s personal transformation from a career-driven eccentric into a politically aware humanist who dedicated himself to his political and humanist goals.